Sharon & Judson McCollum for Albuquerque, Tanoan, Sandia Heights, Foothills NM real estate. 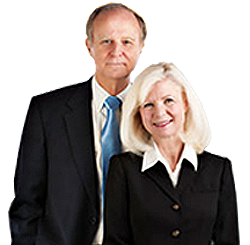 When it comes to Albuquerque real estate, Sharon & Judson believe in doing what’s right for you. For Sharon & Judson McCollum, the key to their lasting success in real estate has been the ability to establish trust with each and every client. It stems from a commitment to always doing what’s right for people. Whether you are selling or buying, Sharon & Judson listen carefully throughout the process. They work hard to make sure your goals are achieved. And, they make sure your best interests are protected at all times. If you are looking for the perfect Albuquerque area property, you can search the MLS like a Realtor® here on Sharon and Judson’s site. View all current Albuquerque properties on the market, or create a custom search criteria to find your dream home in the Albuquerque real estate market. If you are looking to sell your home in the Albuquerque real estate market, the McCollums are your ideal resource with their expertise on area property values, their network of buyers looking for a property just like yours and their commitment to always do what’s right for you.